Club Penguin Cheats by Mimo777 Club Penguin Cheats by Mimo777: Club Penguin March 8th Featured Igloos! Club Penguin has posted pirate-themed featured iggies this week! 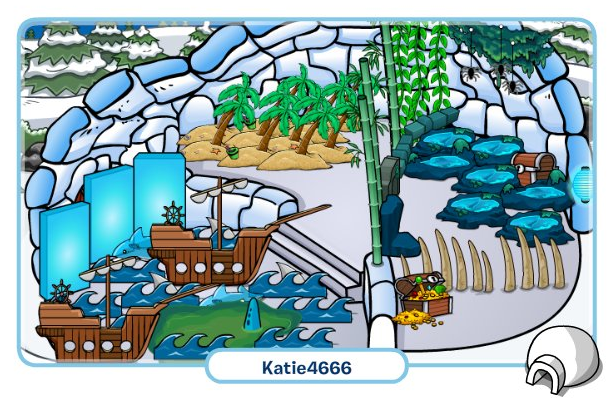 Sillyboy102 said: "Hi, I really LOVE my friend Katie4666's igloo! She always changes her igloo. For example, her igloo can be anything from a secret island, a fashion show, a dance place, or even just a home sweet home! I love her igloo because you never know what she will do next!" 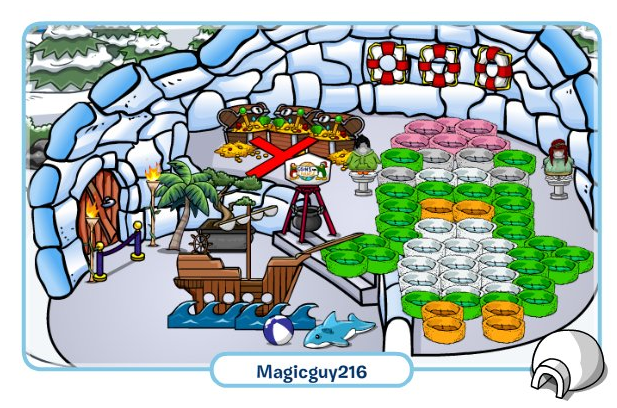 Ukfan said: "You should check out my buddy Magicguy216's igloo! He made Aunt Arctic out of puffle beds it's amazing! Then he decorates around her stuff that represents what party is going on. Right now, he has a pirate ship and waves around her! It is just so amazing!" 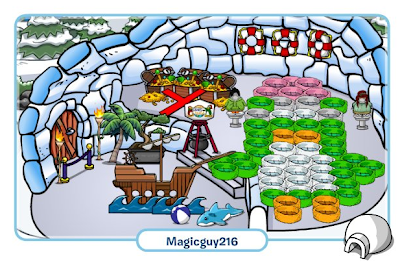 Pup1one said: "I think Kurple88's igloo has an awesome igloo! SHIPWRECK!!! The ship falls down deep into the ocean. 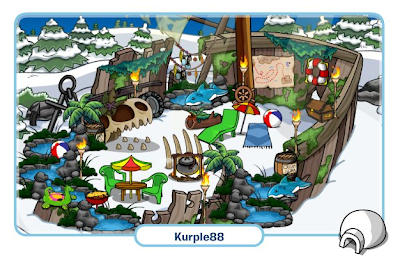 That is where Kurple88's igloo takes place. I highly recommend it! Waddle on!" Smoove iggies! Which one is your fav? For the next Featured Igloos, Club Penguin wants you to let them know if you see any awesome puffle themed igloos to help celebrate the Puffle Party! Nice igloos! 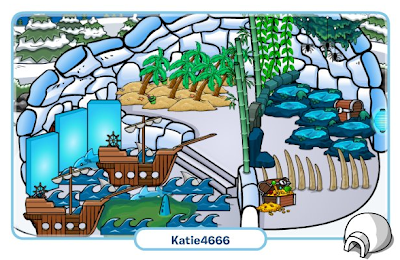 When my other account was a member, I turned my igloo into a Dojo! It was fun.